Set in 1967, at the peak of the Mao cult, Serve the People! is a beautifully told, wickedly daring story about the forbidden love affair between Liu Lian, the young, pretty wife of a powerful Division Commander in Communist China, and her household’s lowly servant, Wu Dawang. When Liu Lian establishes a rule for her orderly that he is to attend to her needs whenever the household’s wooden Serve the People! sign is removed from its usual place, the orderly vows to obey. What follows is a remarkable love story and a profound and deliciously comic satire on Mao’s famous slogan and the political and sexual taboos of his regime. As life is breathed into the illicit sexual affair, Yan Lianke brilliantly captures how the Model Soldier Wu Dawang becomes an eager collaborator with the restless and demanding Liu Lian, their actions inspired by primitive passions that they are only just discovering. 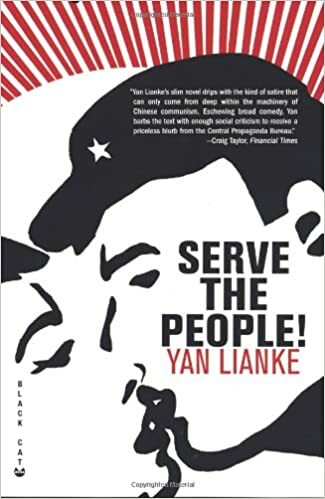 Originally banned in China, and the first work from Yan Lianke to be translated into English, Serve the People! brings us the debut of one of the most important authors writing from inside China today.